On this lovely saturday morning I plan to sleep in and indulge in all things “bad” for me. Since Im not going anywhere special I opted for my version of a “casual” look. I have been dying to wear these heels anywhere, even now to walmart! My basic v-neck white long sleeve shirt is from target while the denim vest was purchased at old navy. The olive cargos are ridiculously old (you can ask my sister)…I think Ive had them since the 8th grade! Im not sure if I should be admitting that on here but hey..what can you do? I found some similar versions below. 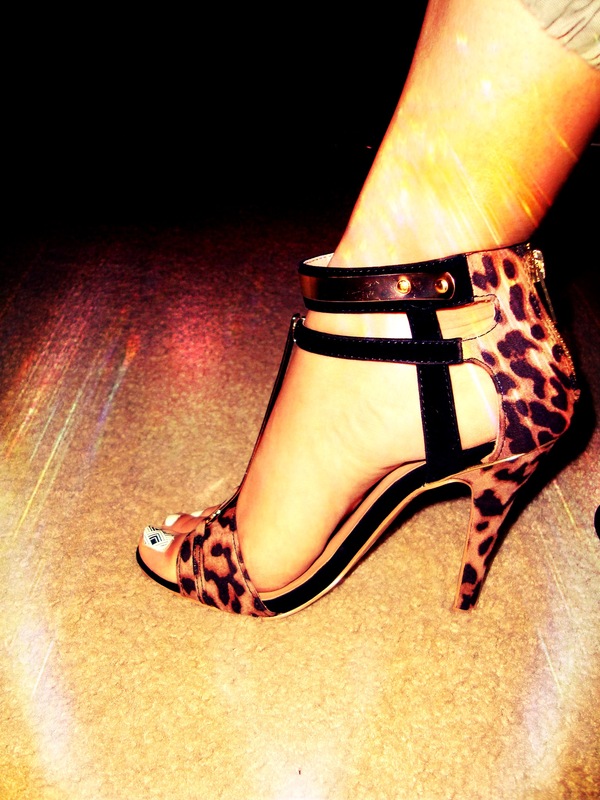 Lastly my leopard and gold hardware heels are from forever 21. They are super comfortable despite their “edgy” look. Have a lovely saturday babes!